Finally, we’ve come to the fun part. After securing funding, you are ready to begin your search and tour some homes, getting one step closer to your dream home. You can start your search several ways using our exceptional search tools on our website or download our mobile app for smart phones and tablets. Your agent can assist you in setting up a private online account that allows you to search just like an agent. This allows you to access information including “sold properties” and other data from the MLS that is not available to the general public. 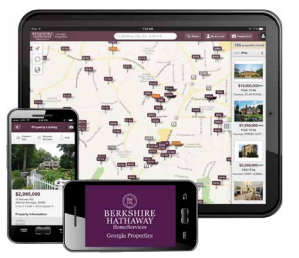 You can establish saved searches, pick your favorites and be the first to know when a new property hits the market for your desired area or other filters. Our search tools are fully integrated so your private online account works from a PC, laptop, smartphone or tablet. This allows you the flexibility to use any device - anytime and anywhere. We provide listings from all 8 regional MLS services so you can search all the properties and get the most accurate, up-to-date and complete property data. Our advanced search options allow you to search by neighborhood, school district or many other options. Our multi-language search allows you to choose from 90 different languages. Your agent has access to other proprietary information tools that are only available to our agents. An example is our exclusive Interactive Automated Valuation Model (I-AVM) report which is commonly used by lenders to estimate home values for mortgages. We also have historical MLS data, access to past appraisals and other information that can be very helpful in evaluating properties and negotiating the best terms. Most importantly, your agent is a local expert and has knowledge and insight that will never be available in online tools and analytical reports. Better information leads to better decisions. Searching for your dream home is a very exciting experience but can also be an emotional and sometimes very confusing process. It is very common for the parties involved to find themselves attracted to different properties or attributes of properties during the process. It is important to remember your original goals and objectives to stay focused and use your time wisely. It is important to understand the latest market trends for the area you are searching. Real estate is local and markets can be very different. For example, if desirable homes in that area are getting multiple offers, you may miss the home of your dreams by making a low offer. If there is an oversupply of desirable inventory, you can be more aggressive. Your agent can guide you on the best strategy to achieve your desired objectives. As part of the process, you should consider how long you expect to live in the desired home. How are things likely to change for that house and the local community during that time frame? What are the factors that could impact the cost of ownership, lifestyle and resale prospects for that property? Considering the factors may help you negotiate the best terms and avoid surprises. But remember that homes are where memories are made and over-analyzing can lead to missed opportunities. Imagine the lifestyle that a potential home will offer and trust your instincts to make the right decision.